This unit has the transport ability. It can carry non-large Artillery. 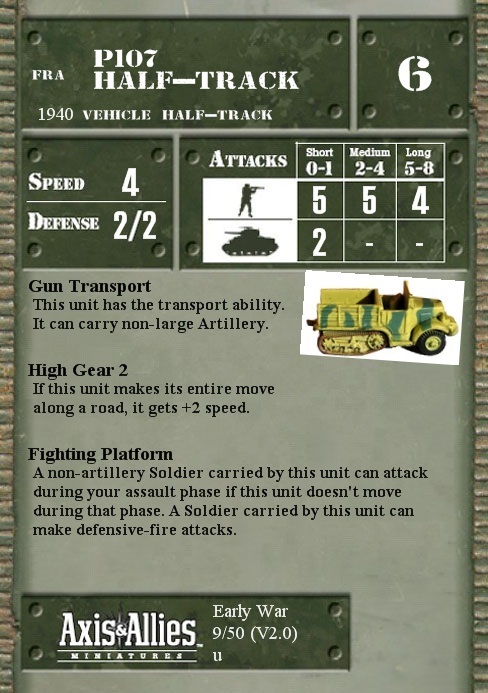 Q: The French P107 Half Track's Gun Transport SA doesn't mention the restriction on carrying non-large Artillery. Has this changed?